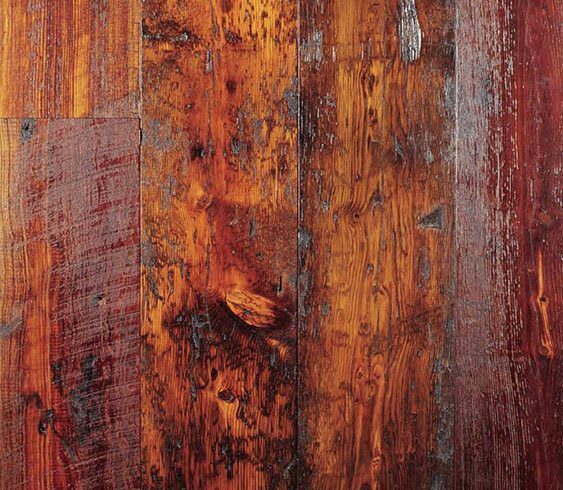 One of our most unique and rustic reclaimed wood floors. 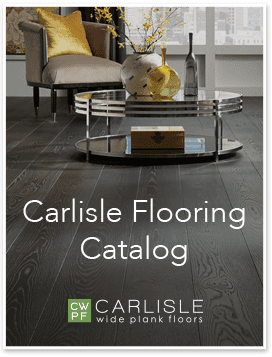 Carlisle sometimes discovers other parts of a building — old floor boards or structural floor joists — that can be turned into a beautiful Carlisle wide plank floor. These boards arguably possess more character than just about any other wood floor, featuring knots and grains, rustic saw marks, color and texture variations, sometimes even nail and bullet holes. It is the individual history of each board that creates the beautiful unpredictability of each floor. Be inspired by our projects using Reclaimed Grandpa’s Flooring.